The Global Views Bevel Sofa Moonstone has been inspired by the classic modern designs, this large contemporary sofa features updated sleek lines. 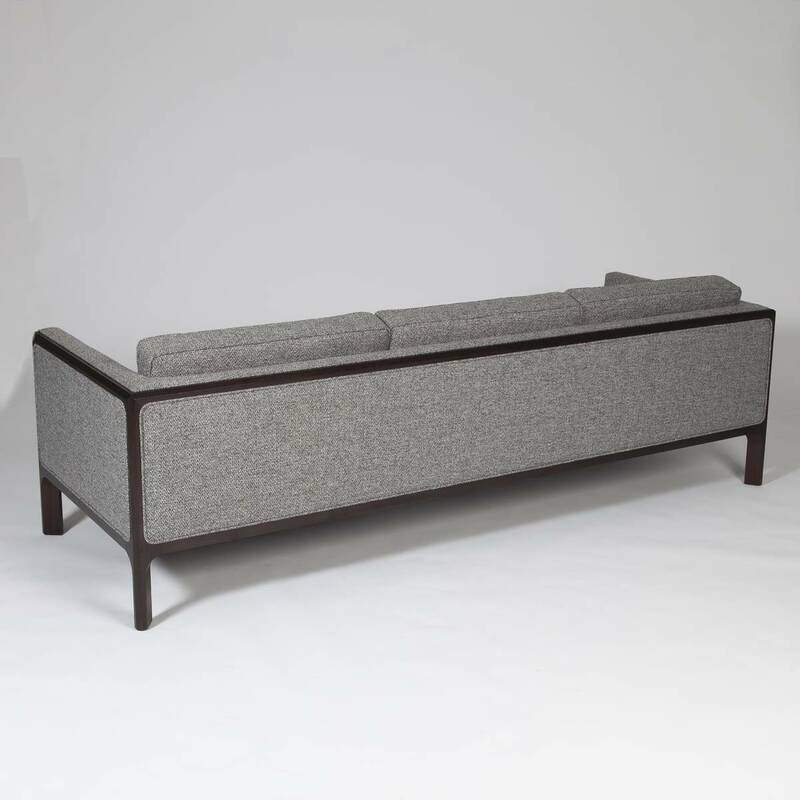 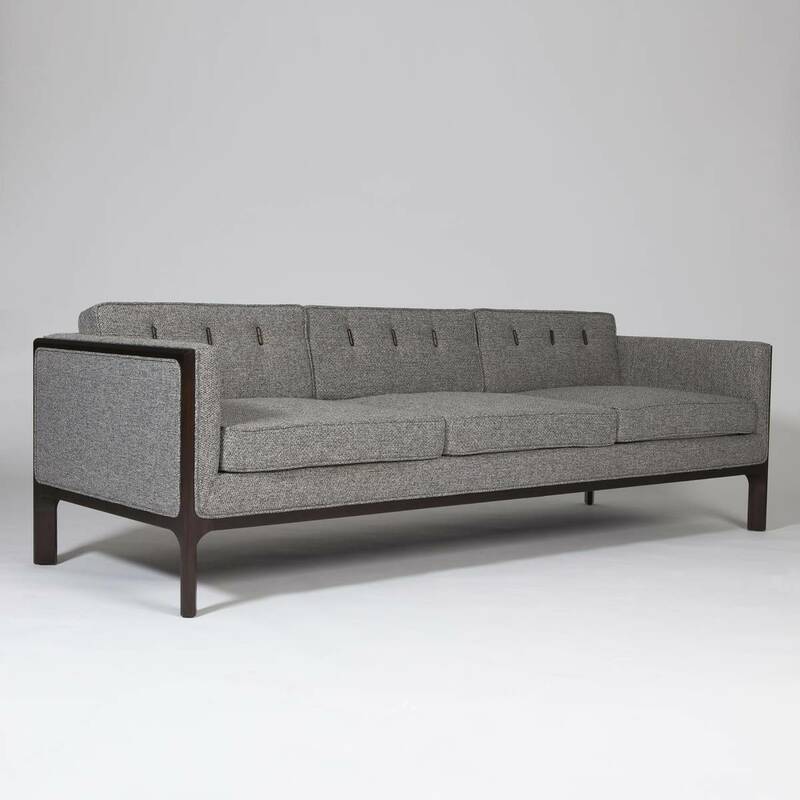 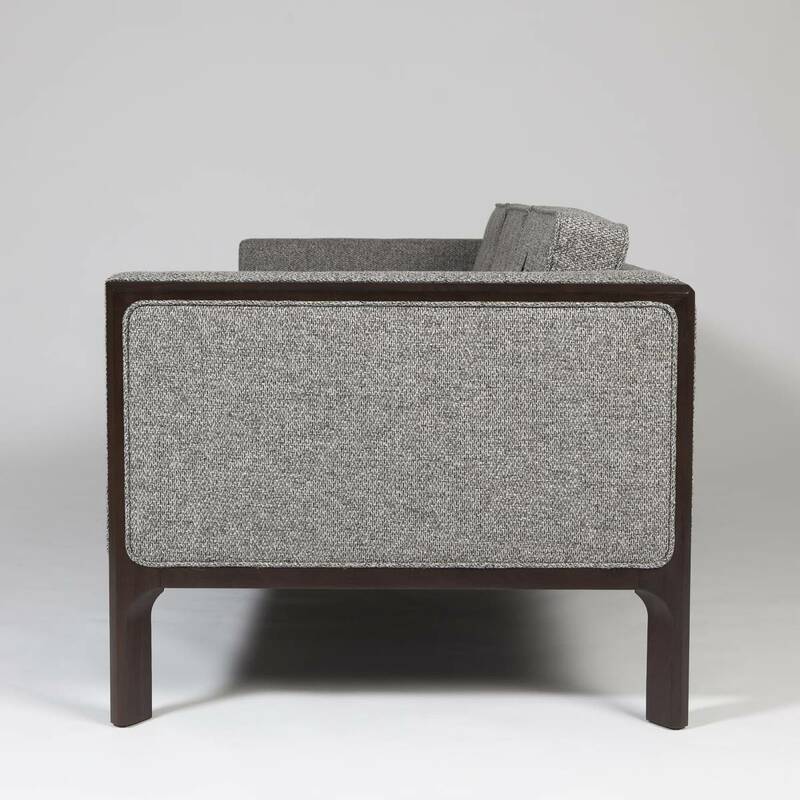 This stylish sofas frame has been crafted from solid walnut wood and then covered in a luxurious grey fabric. 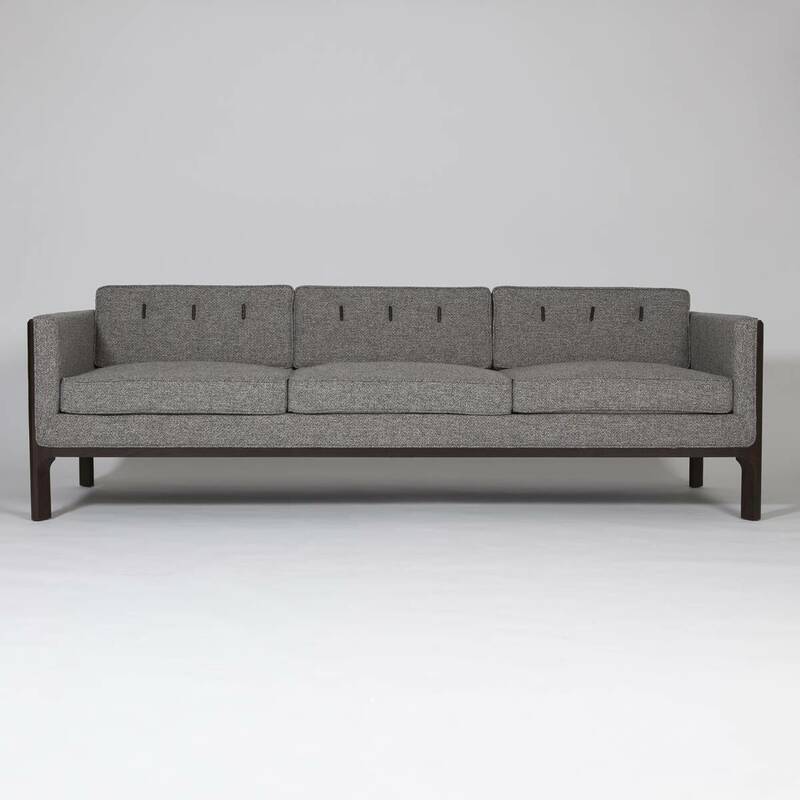 The sofa is perfect for under windows or large artwork because of its low profile back. 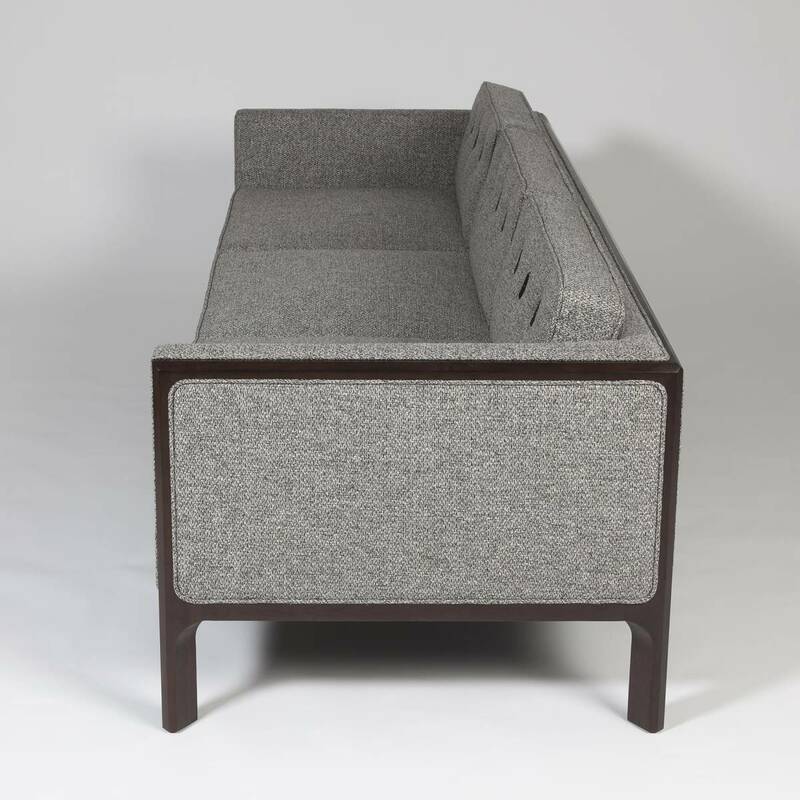 The wide cushions provide a comfortable and ample area to hold conversations or even take a nap.